Latino culture has always been alive and well in Chicago, and its ethnic neighborhoods keep it thriving. Every year the Latin communities in the city come together for Hispanic Heritage Month, which is celebrated from September 15 to October 15. In honor of the holiday we rounded up a quick guide on where to eat the most delicious food, see the most beautiful art and find the most authentic Latin experience in Chicago. 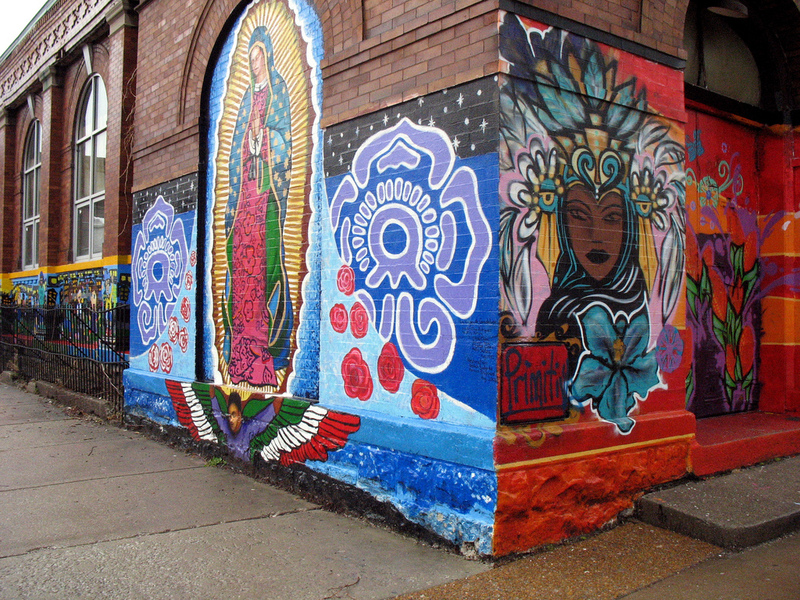 The stretch of 26th Street between Kostner and Kedzie is the epicenter of Mexican culture in the Little Village and Pilsen area. Surrounding this street you’ll find the best Hispanic restaurants Chicago has to offer, along with bars, nightlife and public art. Try out Carnivale for Latin fusion fare, Del Toro for tacos and mojitos, and the Damen Pink Line station for Juan Angel Chavez’s glass mosaic Vida Simple. Colorful, beautiful murals are frequent throughout the neighborhood, inviting you to simply wander the streets to take them all in. The 26th Street Mexican Independence Day Parade also marches through every September to kick off Hispanic Heritage Month. There’s no better place to celebrate your Mexican heritage or learn more about the culture than the National Museum of Mexican Art. It’s open Tuesday through Sunday and is always free, making it one of your best budget-friendly options as well. Their collection spans 3,000 years of history with 10,000 permanent pieces. Get ready for Dia de los Muertos with their annual exhibit celebrating the holiday. Also check out their other upcoming events, including a book signing by Sandra Cisneros. Mexican food doesn’t get any better than Taquerias Atotonilco. It’s a traditional neighborhood spot that has expanded recently and added two suburban locations – but they still serve up delicious, authentic grub including their famous tacos. The original restaurant in Pilsen, owned and operated by the Munoz family since 1972, will always be a Chicago favorite. Visit Chicago’s Puerto Rican community in Humboldt Park by way of the National Museum of Puerto Rican Arts & Culture. Since 2000 it’s been the ‘only self-standing museum in the nation devoted to showcasing Puerto Rican arts and cultural exhibitions year-round.’ They often host special events for patrons and are always free to the public. The best Puerto Rican food you can get in Humboldt Park is at Papa’s. Most of their huge portion dinners come with a side of arroz con gandules and feature their signature Papa’s pollo chon, chuleta frita and bistec en salsa. This neighborhood favorite has a comforting atmosphere and friendly owners who are always willing to chat.